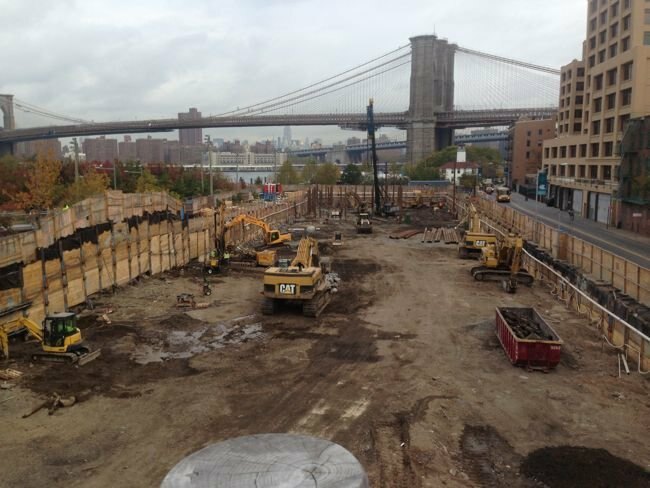 Brooklyn Bridge Park hotel/condo site. Construction is well underway for the hotel/condo building going up on the north side of Squibb Bridge in Brooklyn Bridge Park. Dumbo NYC blog is reporting that the prices for the condos are going to be $1.5 million for a one-bedrrom, to $11 million for a 5 bedroom, with residential services to include pet washing. Why do I want to say, “Harumf,” or gag myself with a spoon. Infantile response.